Eleven Eleven Winery is a relatively newcomer to the wine scene in Napa, Established in 2014 by three partners: Ellie Anest, Carol Vassilliadis, and Aureilen Roulin, this wine project is off to an impressive start, With veteran winemaker, Kirk Venge, at the helm, Eleven Eleven has produced several outstanding wines as we learned in our recent tasting of their portfolio. See our tasting notes and ratings below. Eleven Eleven grew out of a real estate investment. Out of pure coincidence the land purchased by the partners had a world-class vineyard which led them into the wine business. 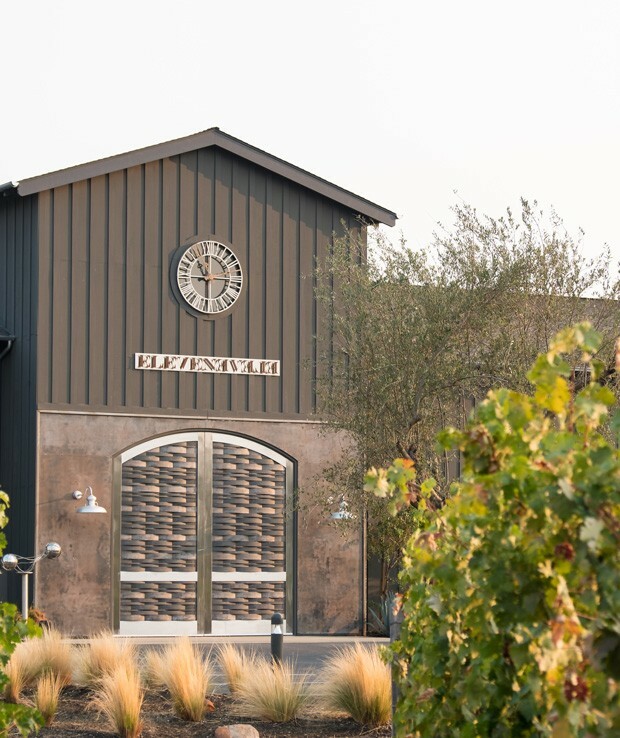 The team brought on Kirk Venge, a well recognized winemaker in Napa Valley who learned his craft at the University of California Davis in viticulture and oenology. He later interned with Mumm Valley as experimental winemaker for five harvest seasons under the legendary sparkling winemaker Gregory Fowler. At Mumm he also learned about premium Chardonnay and Pinot Noir winemaking. 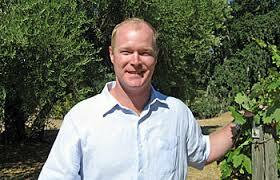 He subsequently worked a harvest in New Zealand and later returned to work alongside his father, Nils Venge, to launch Venge Vineyards in Calistoga, CA. In developing the Eleven Eleven Winery portfolio, Kirk Venge has sourced grapes from some of the finest vineyards in both Napa and Sonoma. The current releases include Sauvignon Blanc grapes from the Melrose Vineyard in Napa Valley, Chardonnay from Dutton Ranch in Russian River, and Pinot Noir from the famed Bacigalupi Vineyard also in Russian River. The Cabernet Sauvignon is sourced from their estate Laki’s Vineyard in the southern Napa Valley and Oak Knoll area. Kirk Venge’s winemaking talents are also on display in these wines. The current releases display purity and elegance, with perfect balance and finesse. They are not blockbusters or over extracted. They are beautifully sculpted wines that reveal restraint, refinement and good taste. They will also pair beautifully with California and other cuisines. Eleven Eleven 2017 Sauvignon Blanc, Rutherford Napa Valley ($35) 91 The 2017 Sauvignon Blanc displays a platinum straw color and a nose of minerals and citrus with hints of garden herbs and chalky minerals. It has a lovely firm mineral backbone with bright acidity and is very fresh with concentrated flavors and a long finish. Sourced from the Beckstoffer-Melrose Vineyard. Eleven Eleven 2016 Chardonnay Dutton Ranch, Mill Station Vineyard Russian River Valley ($48 ) 93 Light yellow straw in color, the 2016 Chardonnay Dutton Ranch is a beautiful wine with an elegant nose revealing hints of honey, hazelnut and stone fruit with tropical notes. It is rich and mouth filling and shows real finesse, silky not creamy and beautifully integrated with terrific balance. Eleven Eleven 2015 Pinot Noir Russian River Valley Bacigalupi Vineyard ($65) 92 The 2016 Pinot Noir Bacigalupi Vineyard offers smoky dark red plum and dark cherry fruit on the nose. It displays a lovely mouth feel, silky and refined with good integration of fruit and toasted oak on the palate. Eleven Eleven 2014 Cabernet Sauvignon Laki’s Vineyard Oak Knoll, Napa Valley ($125 ) 94 This is an elegant Cabernet Sauvignon with a fabulous nose of blackberry and graphite scents with a hint of spice. It is silky on the attack with an elegant mouth feel, fine ripe tannins, and a long finish. Not a blockbuster but a gorgeous wine that’s enjoyable to drink. This entry was posted in Cabernet Sauvignon, California, Chardonnay, Pinot Noir, Uncategorized and tagged Featured, Fetured. Bookmark the permalink.